It might be the smallest room in the house but it’s one of my favourites in terms of how the different materials and design elements came together! 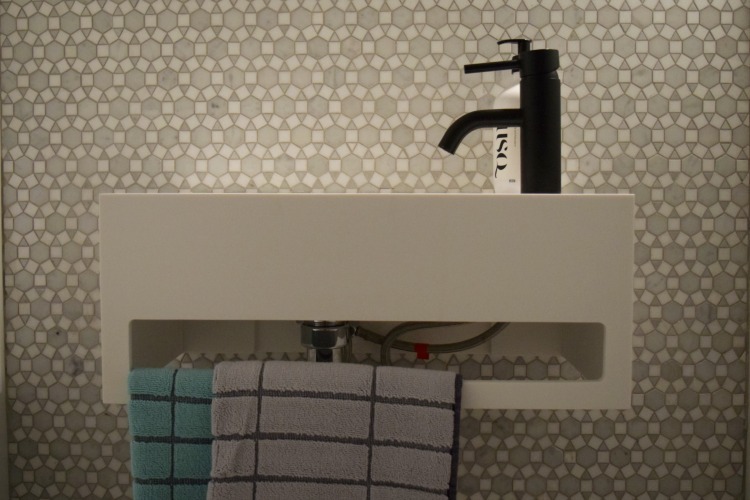 Marble mosaic tiles, timber shelf, porcelain pendant light, black tapware and matte white basin — love it all! My tile choice did our tiler’s head in (you may recall he called me ‘Sheeba wife’ which is no compliment in Korean!) but I’m super happy with the results. 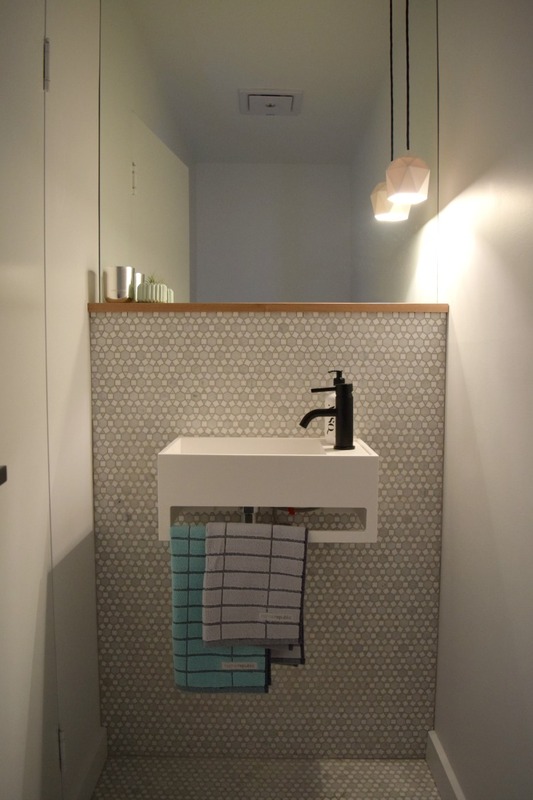 We carried the tile up the wall of the basin too until it meets the timber shelf and above the shelf is a mirror to the ceiling, making the space feel larger. I found the porcelain pendant light with the help of a reader (thanks Jane!) which was handmade in Germany. 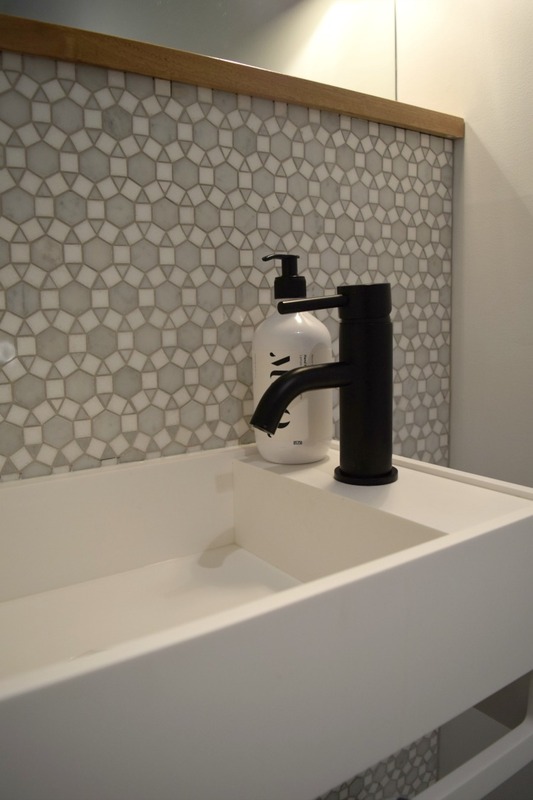 The faceted shape really complements the geometric pattern of the tiles. 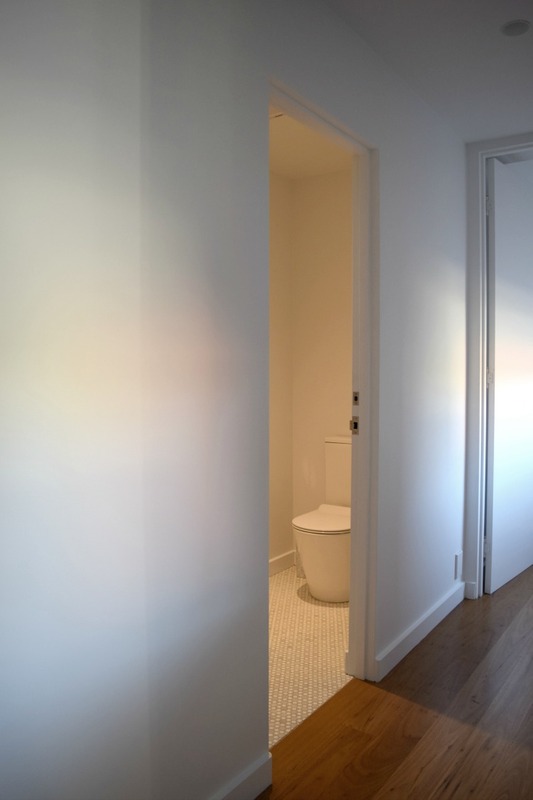 Unlike our ensuite and downstairs bathroom, this toilet doesn’t have an in-wall cistern because there is a brick retaining wall behind the toilet and I didn’t want to reduce the size of the space by building the wall out. I’ve kept styling to a minimum in here, just a little vessel with air plant and delish-smelling candle on the shelf. 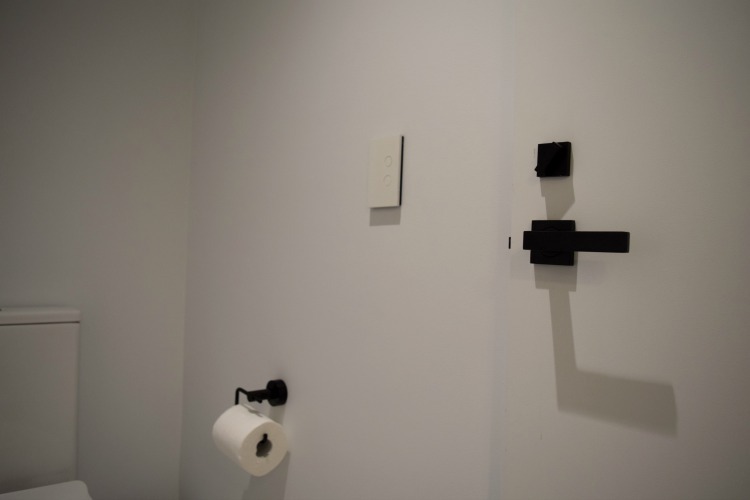 Some people put artwork in their powder room but I’m not sure about that — what are your thoughts? Previous articleRebuild or Renovate? Which Option Should You Take? 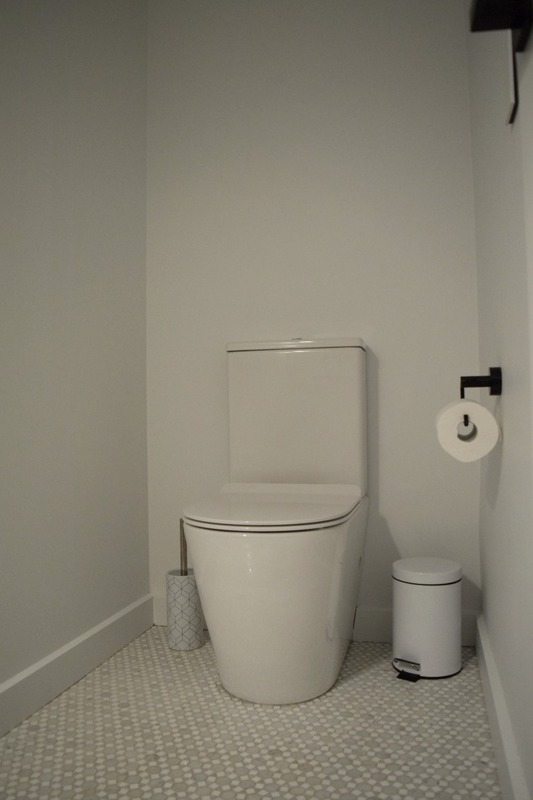 I love the tile choice, very nice. Can I ask why you didn’t put a row of tiles along the wall but instead have a skirting board? Just love those tiles, they work so well with the timber. Those marble tiles are stunning!